An infamous duo known for getting up, COMA and NORE are inseparable. Both began their graffiti careers as members of 2DK L.A.B., the large hip-hop based crew from P.G. County, Maryland. For several years they were primarily low-key members of the DC scene, until in 2001 they began to bomb heavily in DC and the surrounding highways. They founded A.T.B., a crew that would come to be known for saturating areas during bombing missions with tags and rallies of fill-ins. 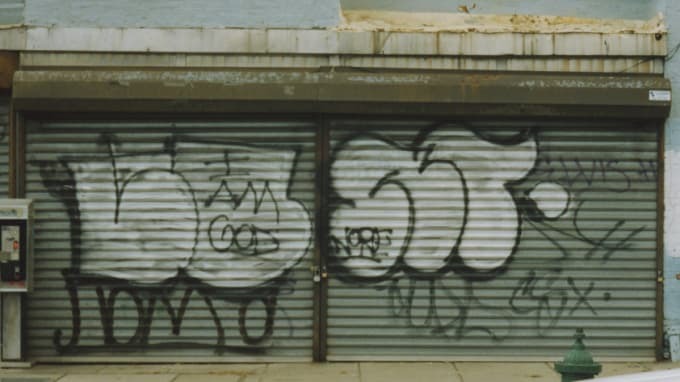 While they were putting DC on smash, COMA and NORE also spent time in the freight yards sending their names across the country. As A.T.B.’s reputation grew so did their level of aggression toward other writers who they felt didn’t bomb enough or respect their work. All that added up to a lot of beef for A.T.B. who consistently found themselves at odds with many prominent writers from DC. The duos influence remains strong in DC as new members of A.T.B. continue to bomb the city and surrounding areas.